Chatrium Residence Sathon Makes Bangkok Beautiful! 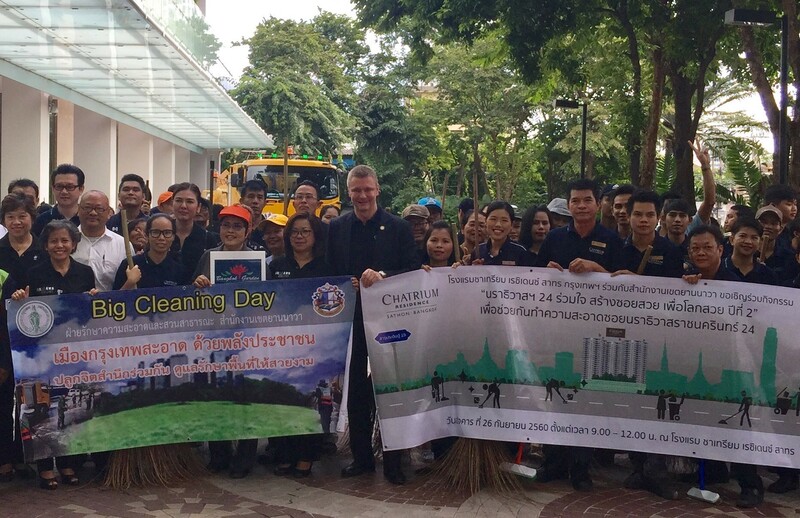 The management, staff and guests of Chatrium Residence Sathon Bangkok, led by General Manager Mr. Magne Hansen (Front row, 5th from left), and Yan Nawa District Office led by Deputy Director Khun Soraya Watchana (Front row, 4th from left) joined forces to keep their neighborhood spick and span as part of the annual “Beautiful Naradhiwas Soi 24, Beautiful World” campaign. 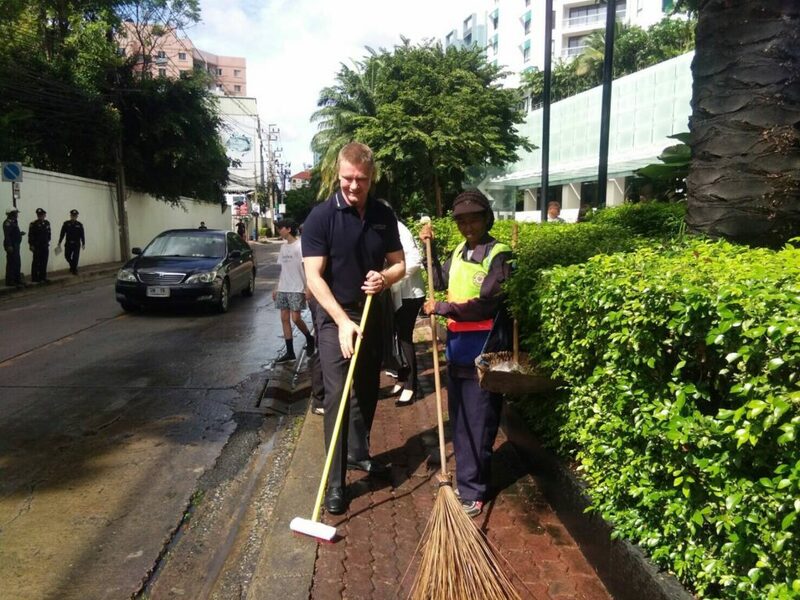 This was the second year this worthwhile event was held as both teams rolled their sleeves up and put their backs into cleaning and tidying Soi Naradhiwas Soi 24. 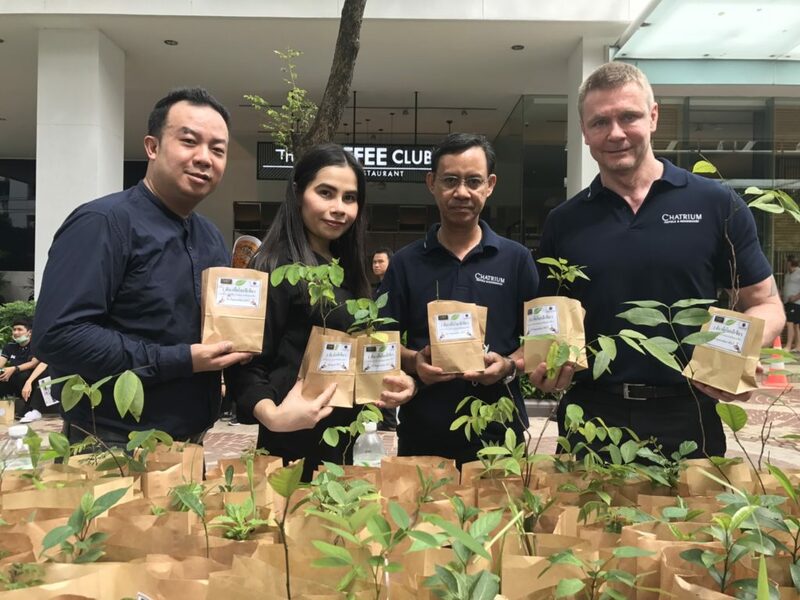 This event is also a part of Chatrium Hotels and Residences commitment to the group’s corporate social responsibility (CSR) and an important element of Chatrium’s “Think First, Think Earth” campaign to protect and preserve the planet we are all lucky enough to share. Next PostNext It’s Never Been Easier to Earn Free Points with the Chatrium Point Plus App!